When the Air Force set out requirements to make a Long Range Strike Bomber (LRSB) for the 21st century, Northrup Grumman developed the B-21 Raider. The name of the bomber aircraft was introduced by one of the last surviving “Doolittle Raiders”, Richard E. Cole. 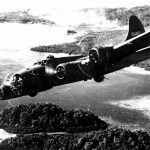 At 101 years old, the retired lieutenant colonel introduced the naming structure of the B-21. When it comes to specifications, at this point the only available information is an artist’s rendering. In released artist renderings of the B-21 Raider, it appears to look extremely similar to the B-2 Spirit also produced by Northrup Grumman. The true specifications of this long-range strike bomber have not been formally published. The B-21 Raider will be a manned aircraft. 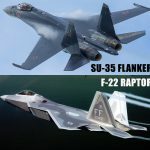 Air Force personnel overseeing the project have specified they want to have at least one human pilot “in the loop”, as this aircraft will be responsible for delivering nuclear payloads. Technologically, the B-21 Raider will serve other roles in the airspace such as command coordination, mission targeting, and communication. Because it is estimated to have similar characteristics as the B-2 Spirit, it will be able to stay in the air for long periods of time at altitudes approaching 80,000 feet. Strategically, this allows the B-21 Raider to detect any incoming surface-to-air or air-to-air threats and leave the battlespace before having to take emergency evasive maneuvers. The B-21 Raider is thought to incorporate similar design elements to other long-range stealth bombers such as the B-2. More specifically, it is said to adhere to the original concepts proposed forth for an Advanced Strategic Penetration Aircraft (ASPA). That’s the designation for an aircraft that is meant to push well past an enemy’s air defense grid before detection. 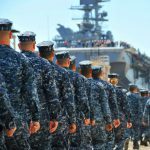 This assures that should a conventional or nuclear payload be delivered, it would be done before an enemy has time to mobilize a response. What is currently known is that each B-21 Raider is estimated to cost up to $550 million dollars. 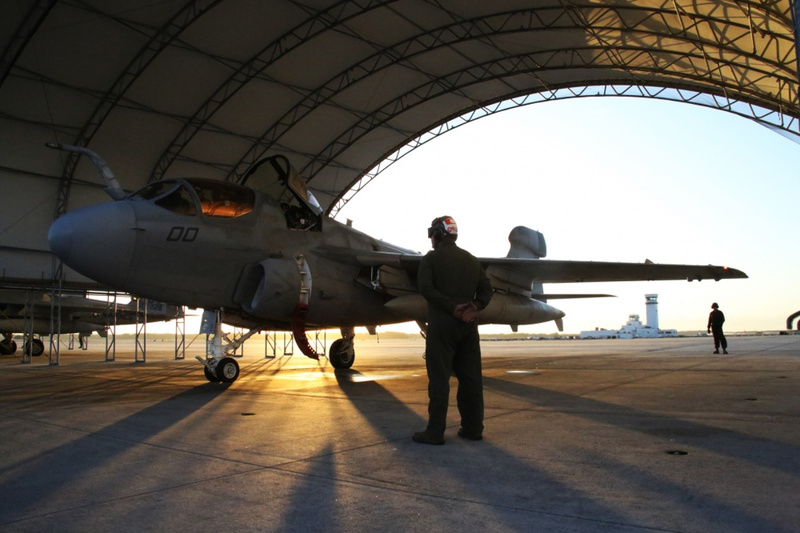 Its jet design elements are extremely similar to the F-35 Lightning II, allowing for a reduced cost on those engines. Initial projections in vicinity of $550 million per aircraft will likely balloon as it finishes final design. The United States Air Force is looking to acquire up to a hundred of the B-21 Raiders for its fleet. If it is anything similar to the B-2 Spirit, it is expected to carry a payload in the vicinity of 40,000 pounds — nuclear or conventional. The Air Force requested $2 billion in funding for FY2018 from Congress. This money would go entirely to the development of the B-21. Final data and specifications likely won’t be available until the aircraft is completely finished and in operation. This is in accordance with repeated requests made by the United States Air Force to keep the nature of the B-21 Raider classified. Historically, details usually emerge about a stealth bomber or fighter after either a training crash or a successful enemy hit — such as the F-117 Nighthawk incident in the Bosnia-Herzegovina conflict in 1999. On the 27th of March, 1999, a Serbian Surface-to-Air missile struck an F-117 conducting a stealth mission over their airspace. The pilot safely ejected and was rescued but the aircraft crashed. Russian and Chinese engineers and military officials inspected the wreckage of the F-117 and classified aspects of the aircraft were likely deduced. 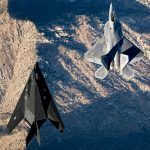 This is usually when better information and specifications trickle out to the general public about stealth aircraft. Until that time, little is divulged outside of directed requests and budgetary information. Below is a side-by-side comparison of the B-2 Spirit and the B-21 Raider artist rendering. 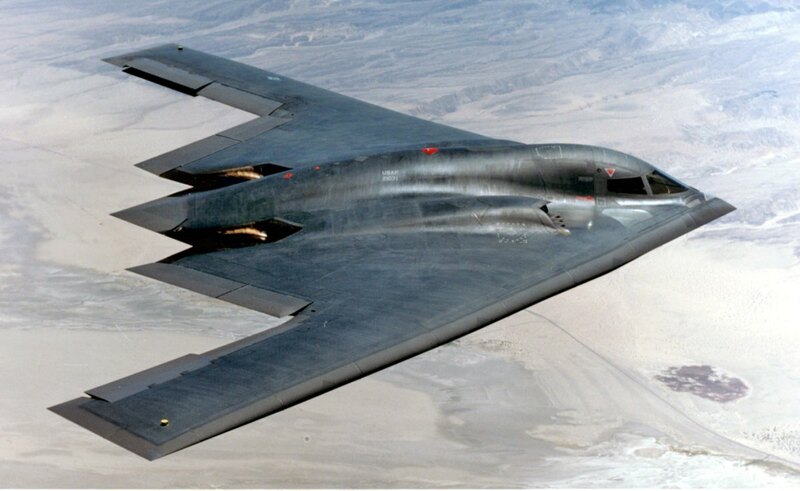 A U.S. Air Force B-2 Spirit bomber. The B-2 Spirit is a multi-role bomber capable of delivering both conventional and nuclear munitions. A dramatic leap forward in technology, the bomber represents a major milestone in the U.S. bomber modernization program. The B-2 brings massive firepower to bear, in a short time, anywhere on the globe through previously impenetrable defenses. 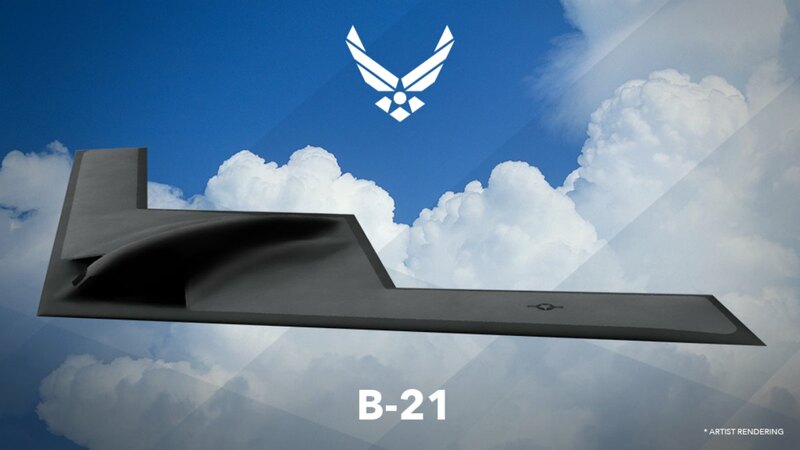 Air Force Secretary Deborah Lee James revealed the first rendering of the Long Range Strike Bomber, designated the B-21, at the Air Force Association’s Air Warfare Symposium Feb. 26 in Orlando, Fla., and announced the Air Force will be taking suggestions from Airmen to help decide the name of the bomber.